How do I work creatively once I have left exams and course books behind? How do I effectively communicate my scientific achievements in oral presentations and written publications? Should I protect my accomplishments with a patent and, if so, how? 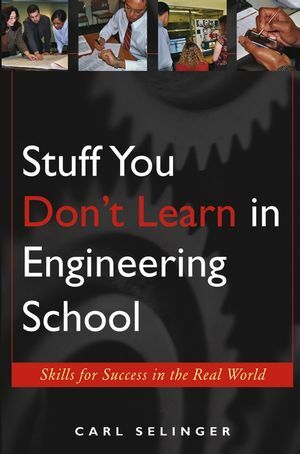 Most importantly, this book shows young scientists how to develop their own optimum working habits, an essential ingredient of a successful career in science. In addition, readers will gain an understanding of the machinery of scientific publishing, including electronic publishing. The final chapter is devoted to patents, an area in which scientists frequently fail to recognize and exploit good opportunities. The authors have taken pains to write in a simple, informal style avoiding the minor but cumbersome technical details often encountered in such guides. Nearly every graduate student and working scientist will find useful hints for improving their creativity and communicating their ideas and results effectively. 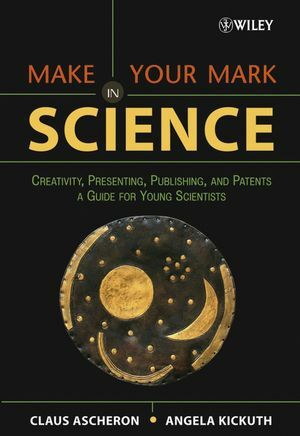 With proven techniques, useful tips, and practical perspectives on building a career in science, this book will enable you, the reader, to Make Your Mark in Science. CLAUS ASCHERON is Physics Editor at Springer-Verlag Heidelberg and a former professor of Kyoto University. He has given lectures on the topics of creativity, presenting, and publishing at numerous universities and professional conferences. ANGELA KICKUTH also works in science publishing and as a freelance writer and translator. Both authors have themselves survived the experience of obtaining a PhD in physics. Both also subsequently pursued careers in research, with appointments at universities and other research centers in several countries. 1.1 What Does It Take to Be a Successful Scientist? 1.4 Publishing and Electronic Publishing. 2.3 Prerequisites for Creative Work. 2.5 Group Creativity: Cooperation and Competition. 2.7 Scientific Creativity and Productivity Worldwide. 3.4 Practicing Before the Event. 3.7 The Art of Asking Questions. 3.9 Some Tips for Chairing Meetings. 4. The Culture and Ethics of Scientific Publishing. 4.1 Purposes of Scientific Publishing. 4.3 A Few Words About Ethics. 5. Writing and Publishing Your Own Paper. 5.3 Structure of a Scientific Paper. 5.4 Formal Aspects of Manuscript Preparation. 6.1 Milestones in the Development of Electronic Publishing. 6.2 Today's Electronic Media and Products. 6.3 Use and Benefits of Online Publications. 6.4 The Roles of the Publisher. 6.5 Problems and Potential Pitfalls. 6.6 Future Prospects, Near and Medium-Term. 7.2 What Is a Patent? 7.3 What Can and Can't Be Patented? 7.5 Who Should Apply? Patent Ownership. 7.7 Patent Application Procedure: Example of European Patent Office. 7.8 The Patent Examination Process (EPO). 7.9 Differences Between US and European Patents.